Most homes or apartments develop a lot of clutter over time. It is how you deal with that clutter that either leaves you with a neat and tidy home or prepares you for a life as a hoarder. Here are some little tips for each room in your home to help you keep the clutter at bay. These are not just organizing solutions, but more of the methodology behind decluttering. Thanks to bhg.com for these great hints . 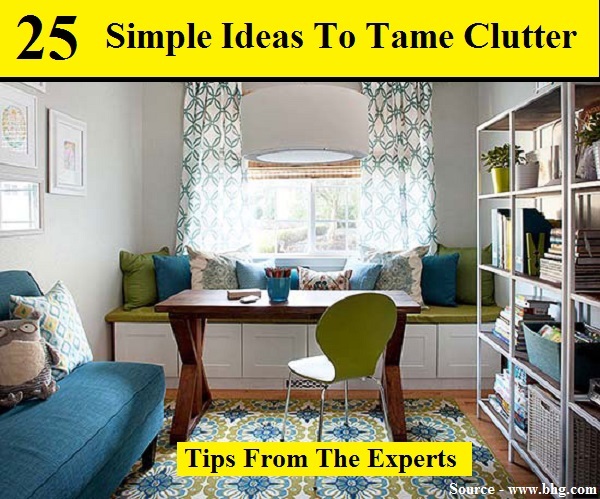 Follow the link below to learn from the experts the simple hints to tame your clutter.